Very quick note to share a Christmas activity idea for teenagers and kids. 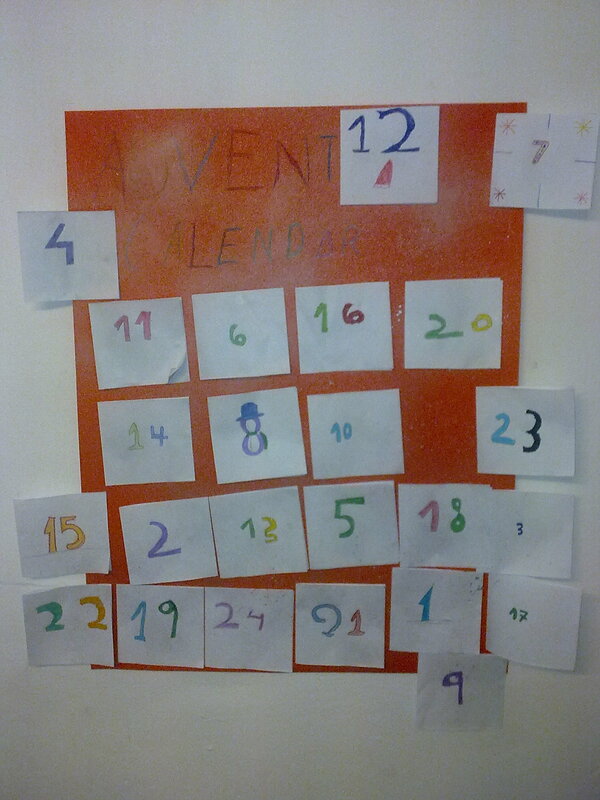 Make a huge advent calendar with you class. Take a large piece of coloured paper (A3 or bigger) and some small pieces of white (or coloured) paper. Take 24 small pieces of paper and fold them in half. The students must decorate the front of the door with a number and then draw a Christmas picture on the inside. 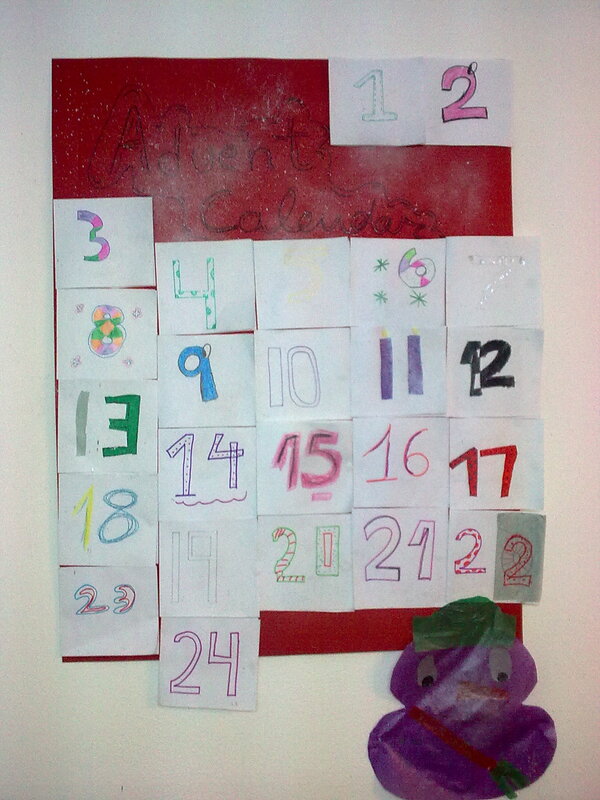 Once all 24 are complete, stick them to the larger piece of paper and decorate with tissue and glitter and stickers. Blue tack the doors shut, and each day, let the students open a new one to reveal the picture behind it. I’ll be doing this next week, so they are ready for december 1st…. Will post pictures.